THE BEST CAR REPAIR SERVICE. "The owner is a certified technician from Germany, what more could you ask for? This shop is very very fair on prices, and the work they do is outstanding. Fred uses nothing but OEM parts for the cars and that is what a shop should do. On the plus side, the shop is very clean. It is a place where you would feel safe to leave your car to get work done. It feels like a VW dealership shop...only better. 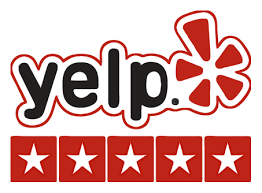 You get the hospitality, honest treatment and fair prices...not the typical corporate bullsh*t.
Fred made me feel very welcome during my first visit and I for sure recommend this place to those who care and worry about who is performing a service on their cars." "Farid Younes and his sons were trained and certified in Germany to work on all european makes and models. Farid can fix your car with one hand tied behind his back, and blindfolded. He bought the shop this year, completely remodeled it, got new lifts, it's clean, well organized, and the office is comfortable and inviting. The work is a no brainer. I had them put new rotors and brakes on my car. Absolutely great work, cheaper than normal hourly shop rate. These guys are extremely nice. They have done much work for me, and are extremely fair. I live in the Lents neighborhood, but, being that they are located three blocks east of 205 on Foster, they are super easy to get to, and if you need to leave your car, the MAX is right there. They'll give you a ride if you need. The lot is secure and your car will be safe there. Farid's favorite work is classic european car restoration and repair, but he'll work on anything. A complete engine rebuild, no problem. He'll even work on a transmission which is rare for a full mechanic these days. Highly, highly recommend going to European Autoworks."